Moscow has repeatedly warned Turkey and the EU that suspected terrorists are hiding on their territories, but both Ankara and Brussels largely ignored the calls, the Kremlin said, adding that a recent attack at Istanbul Airport may a cost of their disregard. "Over the past years, Russia has informed our Turkish and European colleagues that people suspected of having links to terrorism, people who are suspected of planning to join terrorist groups, find shelter both in Turkey and in a number of European countries," Kremlin spokesman Dmitry Peskov said on Wednesday. “To our regret, this [a terror attack on Istanbul Ataturk airport] may be a consequence of such disregard," he added. On Tuesday, Dogan news agency reported that 17 people, including 11 Russians had been charged over the Istanbul Airport attack. The Kremlin spokesman said that Russia has always spoken up for “maximally effective cooperation” against terrorism. “We are all under a [terrorist] threat and no country can fight it alone,” he said. At least 45 people were killed and over 230 injured in gun and bomb attacks at Europe’s third-busiest airport on June 28. 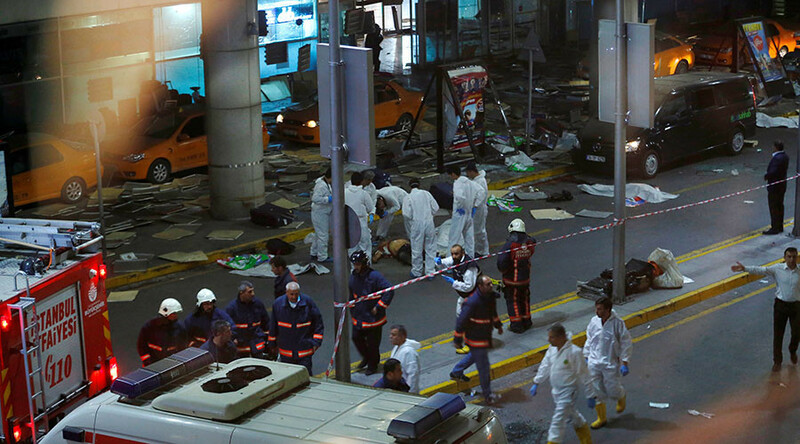 Three suicide bombers first opened fire outside the terminal to create panic before two of the attackers entered the building and blew themselves up, while the third detonated his explosive device at the entrance. A day after the attack reports in Russian and Bulgarian media emerged that the EU had repeatedly refused to extradite the suspected mastermind behind the attack to Russia, a man identified as Ahmed Chataev. Chataev has been on a wanted list in Russia since 2003 for sponsoring terrorism and recruiting extremists into a terrorist group. However, in the same year, he received asylum in Austria. A year later, he was once again detained as he was crossing the border between Turkey and Bulgaria, but he again avoided extradition because of the interference of human rights organizations. They stressed Chataev had refugee status in Austria and so couldn’t be sent to Russia. In February 2015, he left Georgia for Syria, where he joined Islamic State (IS, formerly ISIS/ISIL) militants and reportedly took a high position in IS hierarchy.